I can't believe July is almost over. I'm trying not to think about it too much as I might cry. We've been spending alot of our weekends at my parents' place hanging out by the pool and BBQ'ing. Speaking of BBQing...we finally caved in and bought a new BBQ a couple weeks ago. Our old one died last summer and I've missed it. Now we are BBQing almost every night - Pablo is anyway and I enjoy the cooking break. Pablo had his first round of Botox injections in his head a few weeks ago. It ended with what appeared to be a seizure and an ambulance ride to the hospital. Tests were done and we are still waiting for results. His next round of injections is scheduled for October. Back to food. 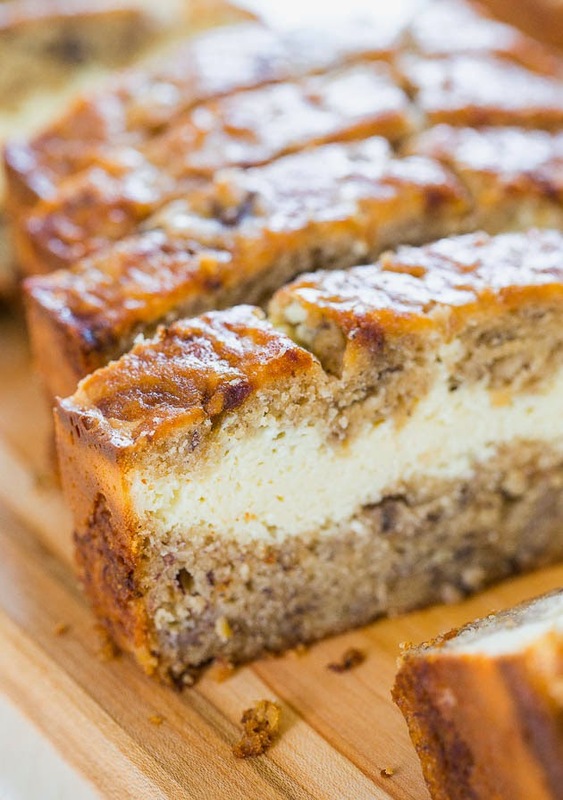 This first recipe was so damn good that I am craving it again something fierce. 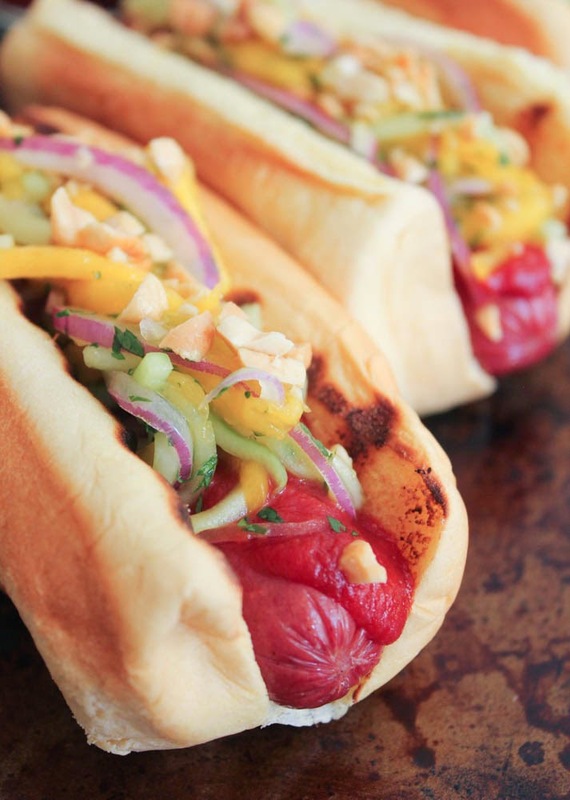 Thai hot dogs with cucumber mango slaw and srirachup. Y'all have to try these. Last night we had the most delicious chicken skewers on the BBQ. For sides we had roast potatoes and grilled corn on the cob. 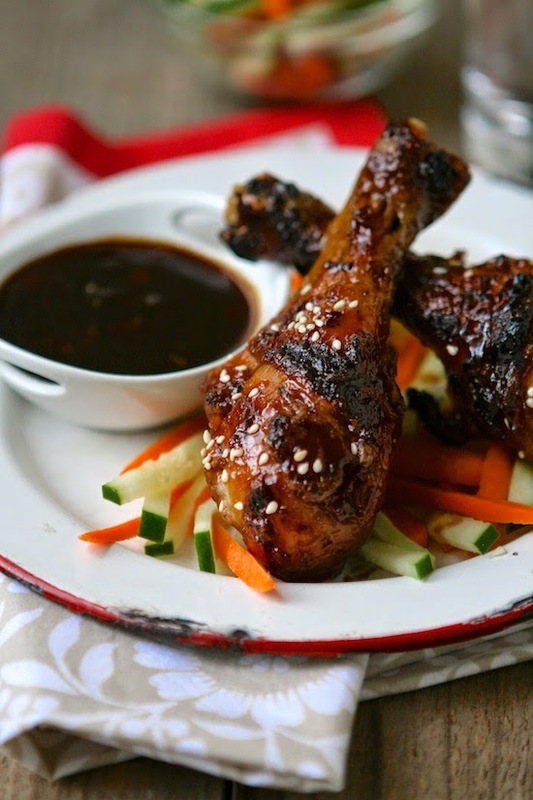 I made this BBQ sauce for the chicken. So delicious!!! 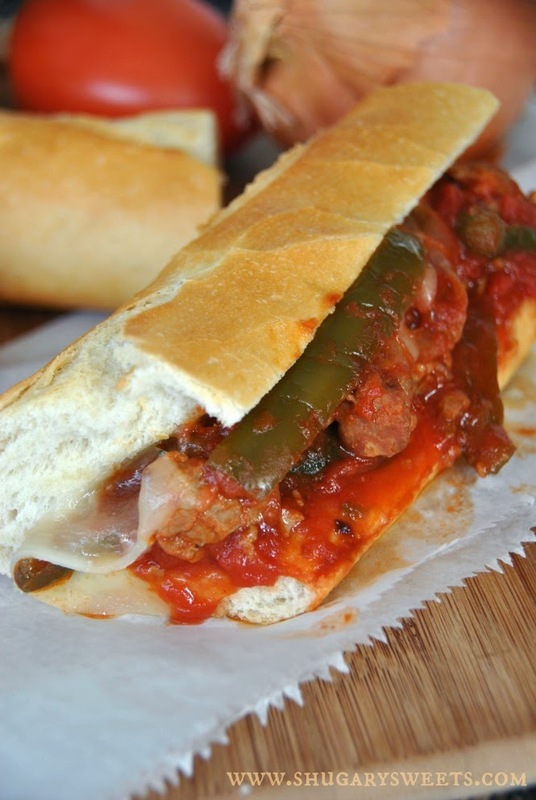 Slow cooker sausage and peppers was on the menu last weekend. We all loved this one. I served it over rice (mashed potatoes for my non eating rice kiddos). 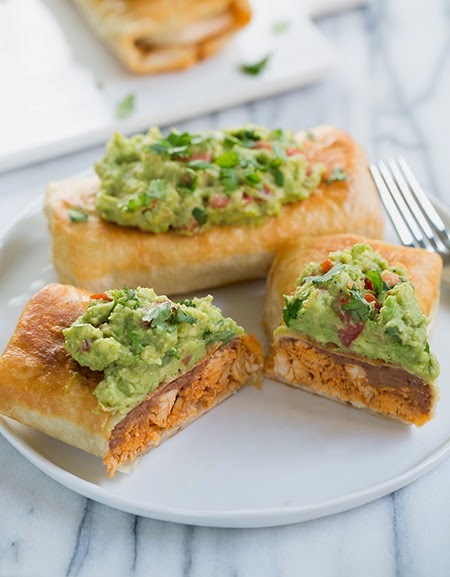 Chicken chimichangas are on the regular rotation around here as per Isabella's request. Perfect weeknight meal. 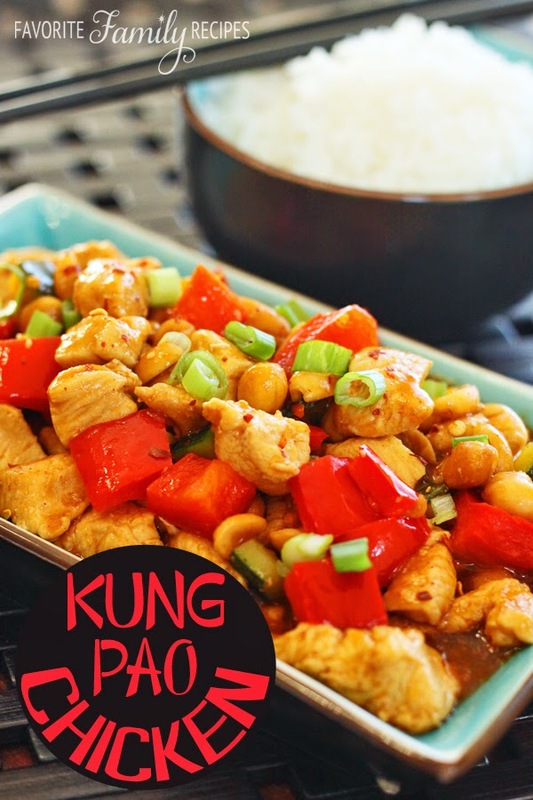 I was craving a stir fry one night and thought I'd try this recipe for kung pao chicken. Loved it. 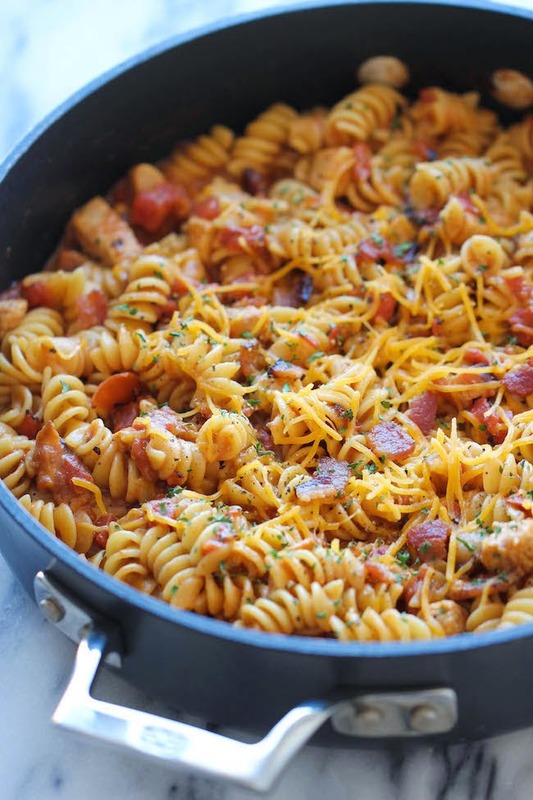 This one-pot dish sounded different and easy to make - one pot BBQ chicken pasta. What made it different is the addition of BBQ sauce to a pasta dish. This was not bad....but not sure if I'd make it again. 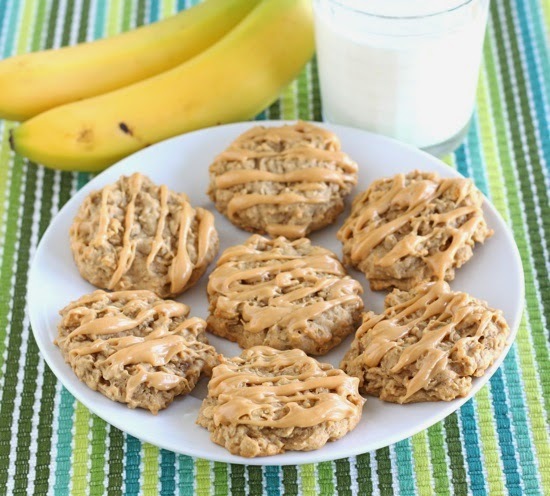 Had some bananas to use up last weekend and today so I made cream cheese filled banana bread and peanut butter, banana and honey cookies. Both scrumptious.